Diolch pawb a daeth ir Sioe heddi, mae wedi bod yn sioe llwyddianus eleni eto gweld chi blwyddyn nesa. .. it just goes on and on. 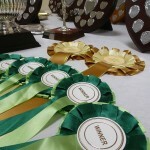 Another good year for our strong local show that succeeds in all ways. Great support means lots of entries and happy memories for all who came to Canlfan Hermon. Congratulations to all the winners and the committee who continue to work so hard again across the years. Thanks also to those who once more worked so hard all day in Cegin Bella, supporting the show with tasty foods and refreshment. An evening supper was enjoyed by many in Cegin Bella on the show night too. It is great to see the center in Hermon thriving as it did yet again on this enjoyable Sioe Hermon day. 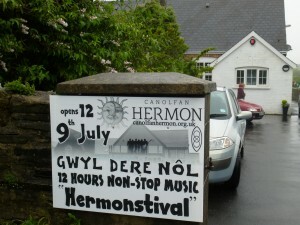 The second Gwyl Dere Nôl non-stop music event was planned for the balcony stage out across the field. The weather did not agree with this plan, so into the warm and friendly hall for a fine day of musical performance, friendly people, social time together. Great day but would have been even better with more people joining the happy revelers. 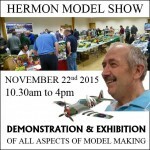 Hermon Model Show 2015 – The second Hermon Model Show was held at Canolfan Hermon on Sunday November 22nd 2015. Organised and staged by Roger Howells with great family support, the event was once again both enjoyable and successful. People of all ages found the 2015 displays interesting and well worth visiting. Well done Roger and all involved in the model show for making this day- another a good one. Hopefully if you visited you were inspired. Model making can obviously be a massively intriguing and absorbing hobby. Some brilliant patience and techniques were certainly on display. Now it’s time to be busy making models yourselves and looking forward to next years event. If you are interested or know of others who might like to be involved then please feel welcome to contact Roger through Canolfan Hermon. .. Mamma Mia! It’s a Rich Man’s World full of Dancing Queens. 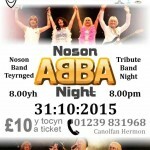 Great night at Canolfan Hermon with ABBA & the cocktail community. New Chairs, New Tables, New Vibe! .. yet another good year for this fabulous local show that has standards far above most village standards. Great support meant lots of entries and a very happy day for all who came to Canlfan Hermon. 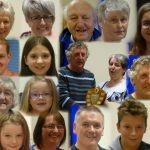 Congratulations to all the winners and the committee who have worked so hard again this year to provide a very enjoyable local day. Thanks also to those who worked so hard all day in Cegin Bella, supporting the show with tasty foods and refreshment. It is great to see teh centre in Hermon thriving as it did on this Sioe Hermon day. 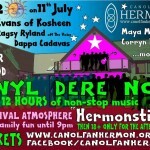 Gwyl Dere Nôl – Hermonstival 2015 – A carnival atmsphere & family fun daytime in the field, with 12 hours of music, moving into the main hall of Canolfan Hermon when the weather got wetter & also keeping the noise controlled for the good neighbourly vibes. 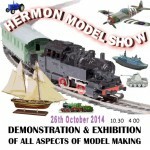 Hermon Model Show 2014 – The first Hermon Model Show was held at Canolfan Hermon on Sunday October 26th 2014. Organised and staged by Roger Howells with great family support, the event was both enjoyable and successful. People of all ages found the displays interesting and well worth visiting. The enthusiasm was such that the Canolfan has already been booked for the evolution of this initial event into a second one in 2015. The locality congratulates Roger and all involved in the model show for making this day such a good one. Now it’s time to be busy making models yourselves and looking forward to next years event. If you are interested or know of others who might like to be involved then please feel welcome to contact Roger through Canolfan Hermon. 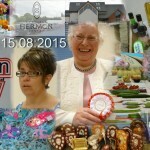 Sioe Hermon 2014 Hermon Horticultural Show … another year and another successful show. This photo memory is offered as a celebration of the day. It was also our first taste of the new Cafe – set to open in Autumn 2014. Well done to everyone who took part and visited – thanks and please come again next year with even more friends and entries! Thanks you to all the officials who made this event possible and who help keep a tradition within the community not only alive but also evolving. Buzzing About Pembrokeshire – an eco-event by PLANED held on May 17th 2014 was an ECO-stimulating event presented by PLANED. 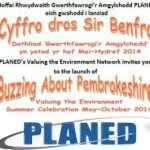 Buzzing About Pembrokeshire was a Summer series of events organised by Planed. 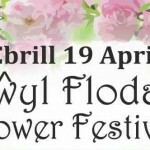 These numerous occasions were festivals of opportunity, designed to give locals and visitors a taste of the many fantastic environmental initiatives that Pembrokeshire offers. Flower Festival April 2014 – a gallery of photos that represent a memory of the success of the flower festival held on Easter Saturday 2014 by the local church, two local chapels and Canolfan Hermon.This page & it’s successful story is still being compiled & updated. But please enjoy these photos and memories of a great community cooperation & a much enjoyed day by many local people as well as some from further afield too.